My new mosaic video - have a look! Would really appreciate your input - do leave me a comment! I hope you all had a lovely Easter - weather here in the UK was surprisingly good!! My next few months are taken up with the big commissions I told you about in my last blog. In between, I make orders for smaller mosaics I receive, which I really enjoy, as it gives me time to take a step back and take a fresh look at the larger commissions. 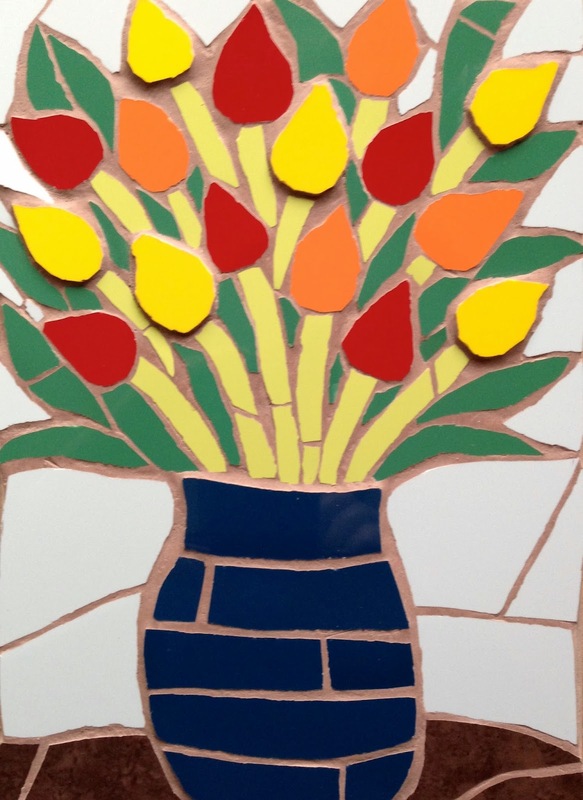 Also I am auctioning one of my bigger mosaics - the vase of tulips below - on #eBay this week for a bargain price, which I'm still not sure about, but hey, it's nearly summer! Do have a look. 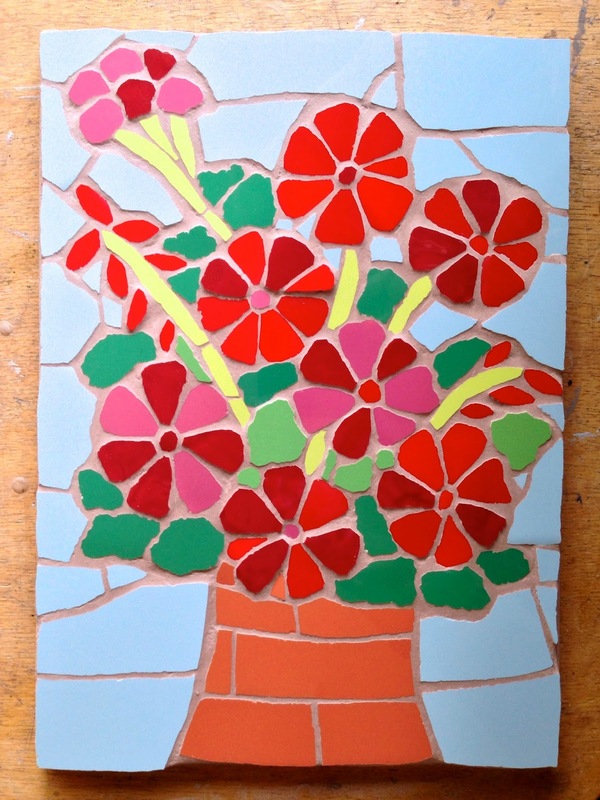 Amongst all this, I am working on a small project to produce very short films of 'taking a closer look' at my mosaics. So often, people say to me that photos don't do them justice, so I am trying to show, as best as I possibly can, what they are like 'to have and to hold' in real life - watch this space! Thanks for reading and do drop me a line, I love to hear from you! You know how it can be, quiet sometimes, and as an artist, it makes you wonder a bit... - then suddenly everything happens and your brain feels both excited and scrambled! That's been this week! Four 'big' things have happened and on this sunny late afternoon in Bristol, I am just trying to get my head around it all! and secondly, an equally big beach hut scene to make for a customer's 50th birthday, celebrating the place where she met her partner! (along the lines of below!) 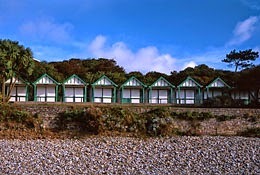 - sooooo exciting, and for such a special occasion, and place! - wouldn't that be great?! As if all this wasn't enough, I got a call from Heath at The Lady magazine, asking if I would like to take out a quarter page ad in their art and craft special coming out on April 11th. Now, blog friends, I don't normally do this kind of thing, but the price was greatly reduced (and I did a bit of bargaining, or felt I did! ), and I am hoping the readers of The Lady might like my work. Also I am getting a mention in the editorial - so, I went for it! The design team at The Lady put together the details, text and images I sent them, and my little ad will be appearing next week, and fingers crossed. So it has been quite a week - they are not all like this one, believe me! We are all going out for supper tonight to celebrate the beginning of the holidays, and my busy week! 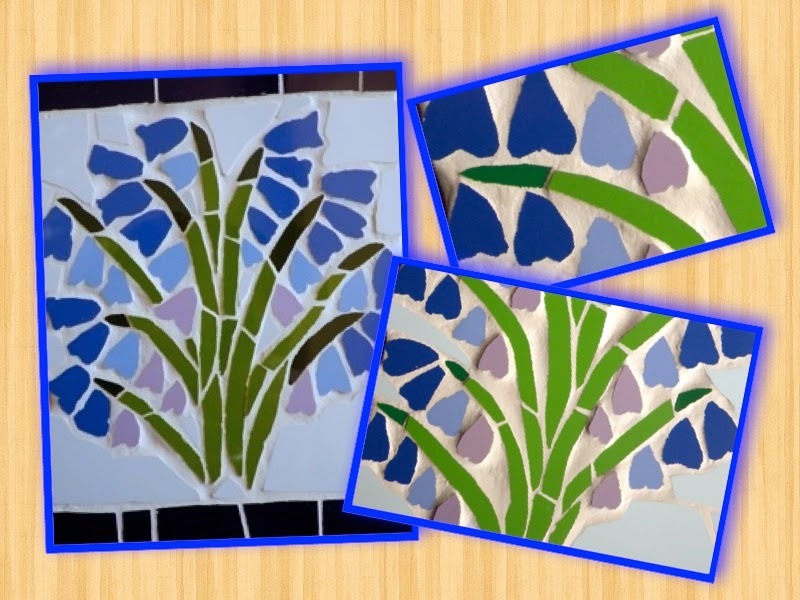 PS Don't forget to see my mosaics auctioning on eBay - they end this Sunday!